Leaving a joint ownership property is easiest via a joint ownership agreement, assuming you have one in place. Whether you are a joint owner with a friend, married partner, civil partner or a family member, no two people are the same and this can lead to disagreements which might cause someone to want to leave a share independently. Equally, even if you are lucky enough never to disagree with a mortgage sharer, an unexpected life event might cause someone to want to leave. This could be, for example, landing a fantastic job overseas or falling in love with someone and deciding to move in with them somewhere else. You can get a joint ownership agreement drafted to cover all these 'what ifs' and many more. Need a joint ownership agreement? Get Shared Ownership Protection - which can critically include how to leave a mortgage share - just call 0333 344 3234. Whether you are buying with someone you know, or someone you don’t, there will be times when someone will want to leave early. It is normally linked to a falling out or a change in the relationship. The good news is that you can agree to leave at any time under our joint ownership agreement; under most of the circumstances you can do this at no extra cost to yourself. If you are lucky enough to have bought your property without a mortgage, this is even easier; joint owners can simply sell without any complications which can accompany being a mortgagor. If you have passed your initial mortgage term with your mortgage lender (normally 2 years) you can simply agree to sell the property with your joint owner. Selling your property is the reverse of what you did when you bought the property. You speak to the Estate Agent, get your property listed, take viewings and accept an offer. This can take 1 week or 12 weeks, depending how you have priced it, the condition of the property, the housing market and the demand in your area. 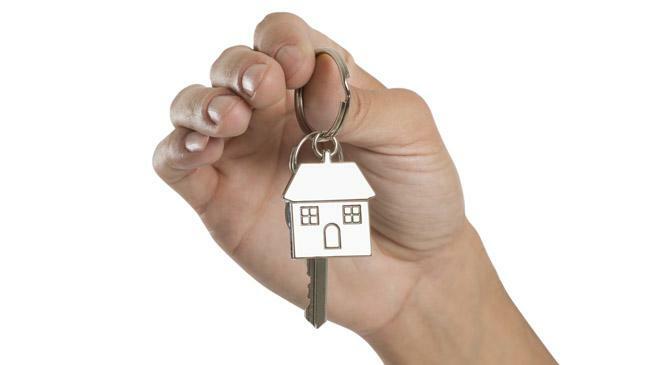 Once you have found a buyer, your conveyancing solicitor will handle the legal work in selling the property. If your joint owner doesn’t want to sell, you can either sell them your share of the property at market value or you can get another prospective joint owner, from Share a Mortgage or elsewhere, to buy your share of the property; this is called a transfer of equity. If you decide to sell your share, make sure you get an independent RICS surveyor to value your property so that there can be no arguments about the value. A conveyancing solicitor will handle the legal work for the transfer of equity and this process can take just a couple of weeks once you have found someone to buy your share of the property. Sitting tight is what most married couples do when their relationship breaks up and although not desirable, it can save you any additional costs charged by your mortgage lender for repaying the mortgage early. By sitting tight, you can plan with your joint owner to sell after the initial mortgage period expires or start looking for someone at Share a Mortgage to transfer your share of the property to. This option allows you to move out and rent your room under licence to someone else until the initial mortgage period expires and you can sell or transfer your equity. The rent will help cover your share of the mortgage repayments while you move into another property. You don’t lose any of your rights and you can get your rental agreement drafted by a conveyancing solicitor to tie into when you sell or transfer the equity. Share a Mortgage can suggest potential tenants to live in your property with a view to buying your share at a later date – try before you buy. This allows tenants to get used to living with the joint owner until they are comfortable enough to buy your share of the property. Selling your property during the initial mortgage term is a last resort as you will incur the mortgage lender’s early penalty charge which will be in the thousands. Share a Mortgage has a dispute resolution procedure that helps mediate over disagreements between joint owners and this will often resolve the problem allowing you to go back to happy living. Shared Ownership Protection is a unique joint ownership agreement and a legally binding contract backed with support and guidance services that protect couples buying a home together. When buying a property with someone else it is essential you protect your share in the property. Even if you think it is shared equally, it might actually not be. Shared Ownership Protection ensures every owner protects their own interests so that if the worst happens, you can walk away with your rightful share of the property. Need Shared Ownership Protection? Call us on 0333 344 3234 or email us at help@shareamortgage.com.